In just the past couple of years, hybrid cloud adoption has expanded across a range of sectors. From finance to government and software to telecom, enterprise-level IT decision makers have recognized the need to take full advantage of a hybrid platform. But why? It means providing all of this in a scalable environment that consistently meets organizational needs. Moving to the cloud is critical to providing for these needs. While making this happen is no small task, working with the right team makes this transformation fast and efficient in every context. Consistency is central to effective operations in any industry, regardless of size or rate of growth. More to the point, consistency in operations across enterprise-level businesses is even more critical now than ever before. Staying competitive in any field demands it. To maximize benefits of the hybrid cloud environment, it’s necessary to make a thorough evaluation of your requirements in these four key areas. Managing access is critical to protecting business assets while ensuring efficiency. Consistently providing appropriate access—on premises or in the cloud—ensures a safe and effective balance between the two. Single sign-on allows users to authenticate with a single enterprise account. Administrators can manage security and governance controls so users can access what they need—with flexibility to adjust those permissions without affecting the user experience. Data analysis and distribution is key to staying competitive. Regardless of where and how a company organizes and manages this information, on-demand comprehensive access is critical to success. Customized cloud solutions provide this at every level. When you can distribute data seamlessly between cloud and on-premises, you’re able to realize the benefits of granular analytics, visualizations, and deep learning. Threats are inherent to doing business. The hybrid cloud environment can help you mitigate these risks on every level. Working between on-premises and cloud environments can result in or cause a range of complications. Difficulties sharing technologies between the two further complicates the problem. Approaching these with single-issue solutions is inefficient at best. It costs time and money. It stifles innovation and wastes opportunity. 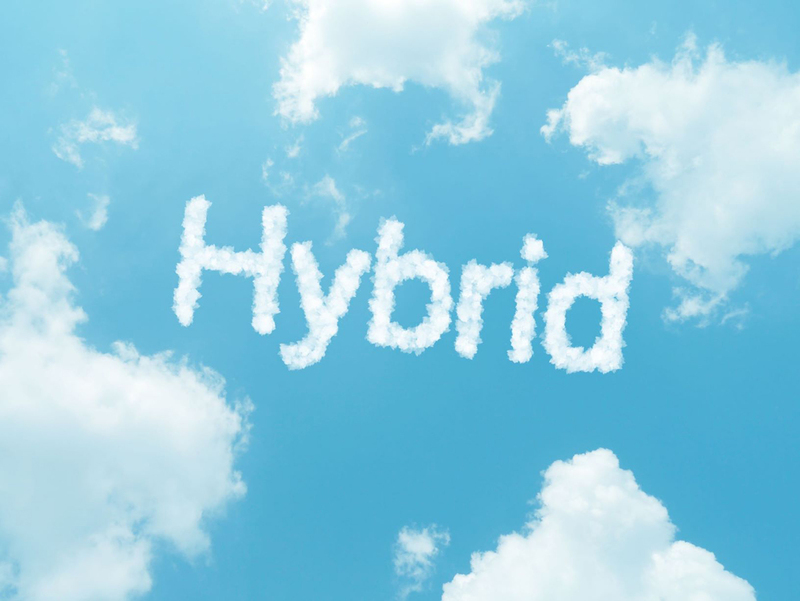 Working from a hybrid cloud environment allows you to solve these problems and provides a straightforward link between on-premises and cloud-based assets. It provides developers with a means to effectively develop, update, and grow between the two with ease and efficiency. Are you ready to make the move to true digital transformation? Do it right: let us help you find and leverage the hybrid cloud strategy that’s best for you. 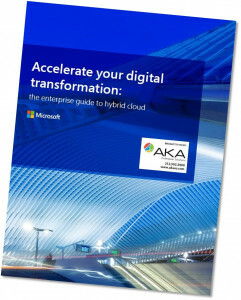 Contact us today to discuss AKA’s Ground to Cloud Essentials offering, which will help get you up and running fast by taking advantage of the hybrid cloud.